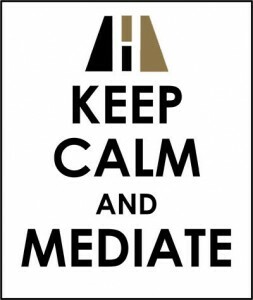 Mediation provides a positive problem solving option to litigation. For 30 years, Mary Kay has been devoted to helping families throughout Nebraska. Mary Kay and her crew are dedicated to providing high-quality and compassionate assistance to you as you navigate your divorce or family law proceeding. Litigation may be necessary, but contested trials are destructive to families, and children often bear the consequences of animosity created by litigation. As a trained mediator, Mary Kay believes that alternative dispute resolution strategies can help bring about resolutions in even the most contested and complicated family law or divorce situation. Mediation can help the family to move forward in a positive direction. Mary Kay provides mediation services in an effort to help families find resolutions to issues such as divorce, guardianship, property division, alimony, paternity, custody, and parenting plans. Mediation allows the interested parties to explore options and seek out a mutually agreed upon resolution with the assistance of a neutral mediator experienced in family law. Throughout mediation, Mary Kay will work with you to ensure that your session stays focused on the issues and moves in the direction of an amicable resolution, and that your voice and opinions are heard on all matters. Family dynamics can be challenging and Mary Kay supports the involvement of family members, counselors, and attorneys to the extent the parties to the mediation desire. Mary Kay can assist you with your do-it-yourself divorce by drafting the agreements you reach in mediation into your court documents and answering questions you have about the divorce process. However, Mary Kay recommends you obtain legal guidance and advice from an attorney of your choosing. Mary Kay’s experience in the courtroom coupled with her mediation training give her the ability to offer the insight you need to understand what you can expect from your proceedings and your options for finding resolutions. Contact Mary Kay’s office online, or call 402-477-0230, to discuss your mediation.